Want to live the country club lifestyle? 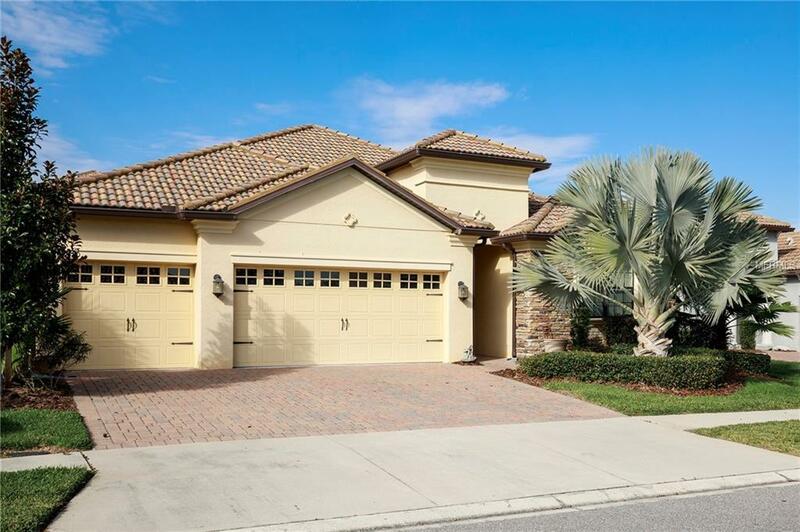 Look no further than this luxurious Champions Gate Country Club Home. Love to golf? Love an active outdoor lifestyle? 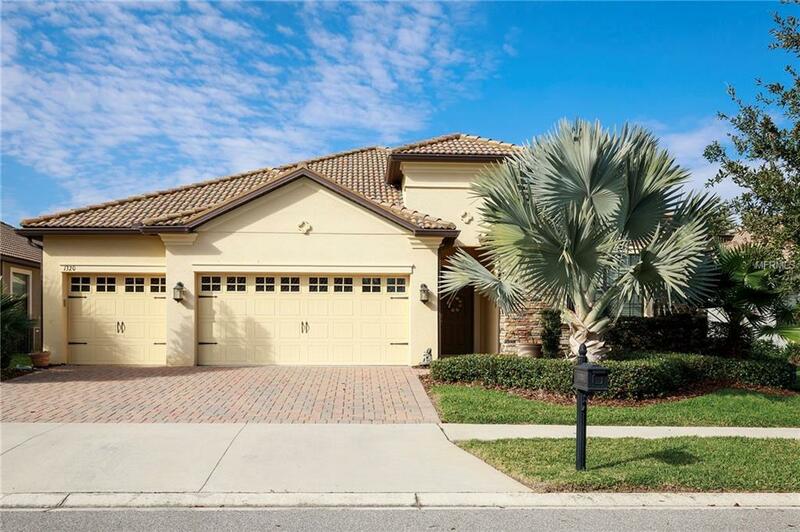 Included in the purchase of this spacious ranch style home is your very own LIFE TIME GOLF MEMBERSHIP to the Champions Gate Country Club Golf Course. This community also boasts a state of the art Oasis Club House, Which features a fully equipped gym facility, lazy river with a water slide, and a splash pad area, as well as a large quiet pool. Pool side food and beverage as well as cabana rentals are available for purchase.The Oasis Club House also features a grill room, movie theatre business center and game room. 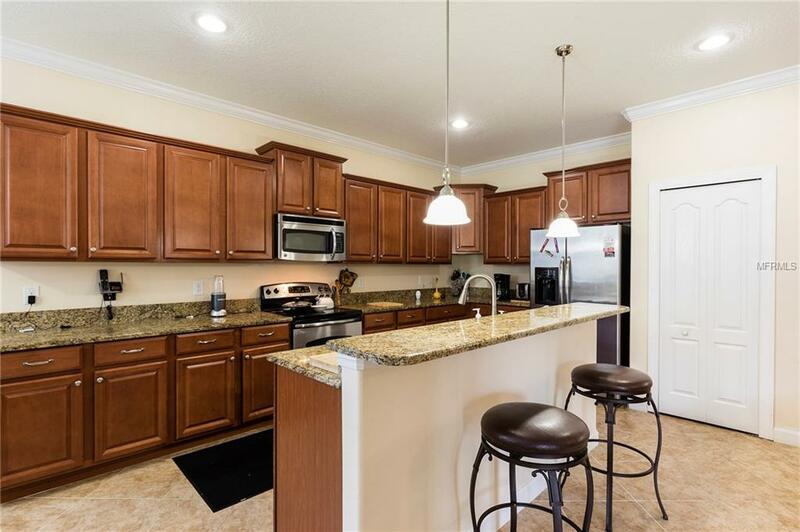 This spacious ranch style home has a dream kitchen with stainless steel appliances and slide granite counter tops. This home uniquely has 2 master bedrooms plus an additional 3rd bedroom and a large office. The master bathroom has a seperate shower, and a relaxing garden tub and features gorgeous granite counter tops. The home also features beautiful crown molding. The extended screened in porch offers space to relax cook out and enjoy the beautiful Florida sunsets. Your HOA fee includes your golf membership, clubhouse access,internet,phone,alarm system, and home lawn maintenance. 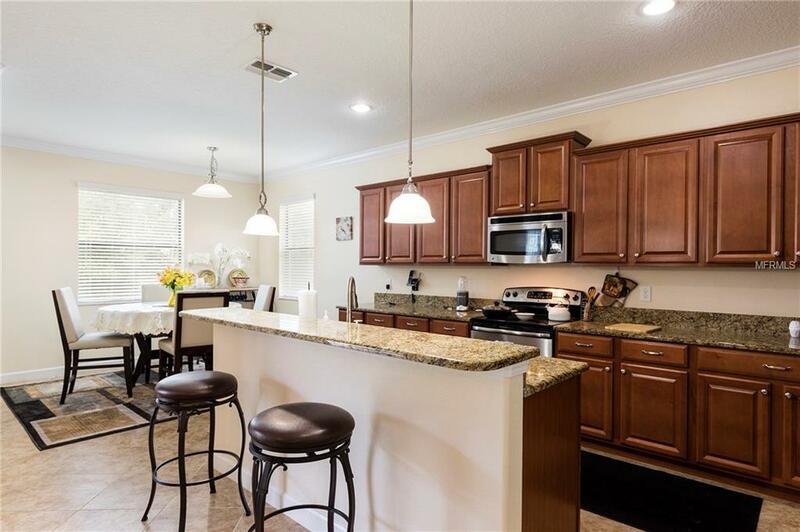 This home is situated just minutes from Disney, Universal, would class dining options and great shopping malls and outlet malls.